Beebe Healthcare and Beebe Medical Group are proud to announce that Steven D. Berlin, MD, and Leo Eschbach, Jr., DO, will join Beebe Women’s Healthcare – Bayside. Ann Marie Stafford, certified nurse midwife, will join Drs. Berlin and Eschbach in this practice, which will focus on women’s health at all ages, with a special emphasis on gynecologic surgery and the specific healthcare needs of the mature female population. Beebe Healthcare is proud to be the first hospital in Delaware and on the Delmarva Peninsula – and one of only 15 in the United States – to be named a Center of Excellence in Women’s Health by the American Institute of Minimally Invasive Surgery (AIMIS). In addition, both Dr. Berlin and Dr. Eschbach have been recognized and accredited in minimally invasive gynecologic surgery by AIMIS. Beebe Women’s Healthcare – Bayside is located at 1535 Savannah Road, Lewes. To contact the practice, call (302) 645-4700. Beebe Medical Group is comprised of 20 specialty offices in 43 locations throughout southern Delaware. When patients see providers that are within the Beebe Medical Group, they enjoy the experience of seamless electronic medical correspondence between office visits, outpatient facilities and the hospital. 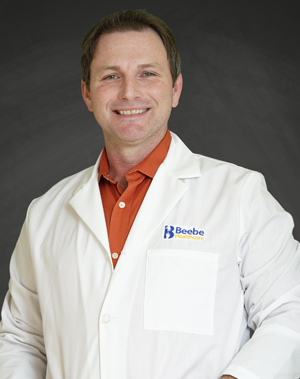 Beebe Medical Group practices include the specialties of: Audiology, Cardiac Surgery, Dermatology, Endocrinology, Family Medicine, Gastroenterology, General Surgery, Hospital Medicine, Infectious Diseases and Travel Medicine, Internal Medicine, Otolaryngology (ENT), Pediatric Neurology, Pulmonary & Sleep Disorders, Surgical Oncology, Urology, Vascular Surgery and Women’s Healthcare. Four Walk-in care locations serve the community in Rehoboth Beach, Georgetown, Millsboro, and Millville. The group also operates three school-based health centers at Cape Henlopen High School, Sussex Central, and Indian River High School. In 2017, all nine of Beebe Medical Group’s family medicine locations received NCQA Patient-Centered Medical Home (PCMH) Recognition from The National Committee for Quality Assurance (NCQA) for using evidence-based, patient-centered processes that focus on highly coordinated care and long‐term, participative relationships. For more information on Beebe Medical Group, go to www.beebemedicalgroup.org. 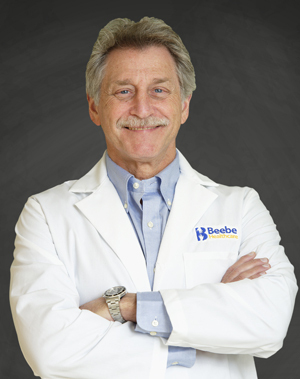 For more information on the physicians or to find a new physician, go to www.beebehealthcare.org/find-a-doc. Beebe Healthcare is a not-for-profit community healthcare system with a charitable mission to encourage healthy living, prevent illness, and restore optimal health for the people who live, work, and visit the communities we serve. Beebe offers services throughout Southern Delaware, including a 210-licensed-bed medical center in downtown Lewes, a cancer treatment center, home care services, and outpatient facilities providing walk-in care, lab, imaging, and physical rehabilitation services. For more information on services offered through Beebe, go to www.beebehealthcare.org. To find out how Beebe Healthcare is creating the next generation of care for the community, go to www.nextgenerationofcare.org.